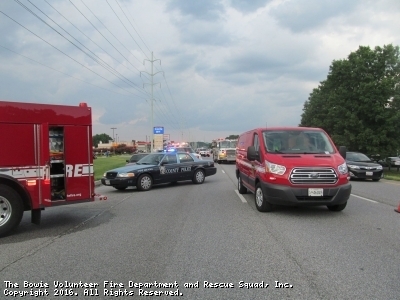 On Sunday, July 31, 2016, at approximately 14:07, Engine 839B and Engine 816 were alerted to respond to Anne Arundel County for a report of a house fire on Route 3 in Crofton. Engine 839, Engine 816, Chiefs 839 A (Schultz), 839 B (Darbro), 843 A (Havens) and Chief 819 (Howard) all responded. 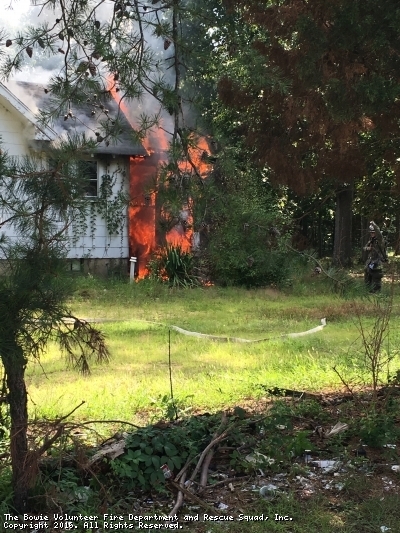 Engine Company 839 arrived first on the scene, reported fire on side Charlie and began extinguishing the main bulk of the fire which was in the rear of the house. The Bowie VFD Auxiliary was on-scene to provide water to the crews working on a very hot and humid day. There were no injuries reported. Photo courtesy of Jonathan Howard. Photo courtesy of Amy Locker. This site has been viewed 929,674 times.